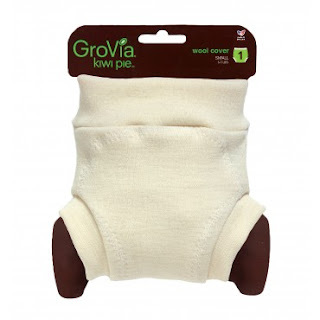 New Cloth Diapers - the good, the bad and the ugly - "GroVia"
"In case you missed it, today I posted a video about all the new cloth diapers, products and accessories that have recently comes out. Now since I haven't done a video like this in exactly one year, I made sure to talk about diapers that have been released over the past 4+ months to make sure I was thorough. I did focus a lot on products released just this past weekend at the ABC Kids Expo 2012 as this is the time of year when companies usually release all the new stuff they have been working on. Since I did talk about so many products, I wanted to keep it to the point and not throw my own opinion in there (too often) so I thought I would do some blog posts on the products I was most excited about, some I was unenthused about..and maybe a few that I found just plain ugly. I'm definitely not including every single product mentioned in the video, or every single product released recently, just the ones I feel are worth mentioning. " 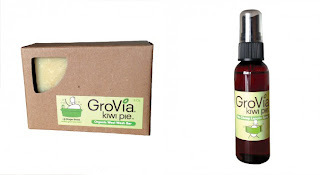 I'll start with the brand I was most impressed with this year; Gro-Via. 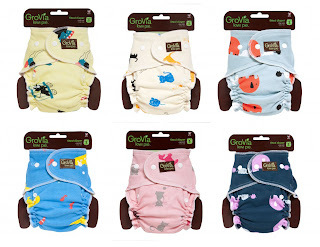 They have really done well at bringing themselves up to par with BumGenius and Fuzzibunz when it comes to being the "well known" cloth diaper brands since they (The Natural Baby Company) established in 2008. 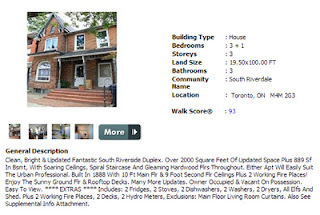 Their website is simple and flawless, advertising is everywhere and they even got themselves into brick and mortar stores that people actually frequent. Last year they came out with a few new colours and training pants. I was elated over the 2 new colours (one which I mistakenly called "Smurf" in my video..yeah, it's "Surf") but not overly enthused with the trainers. This year, they went all out. First off, can we talk about this? Yes ma'am, that is wool. I could not contain my excitement to see this new product. First off, awesome product choice. Wool is slowly creeping in and making people obsessed in the cloth diapering world. Sure, it's been around for a while and us cloth diaper veterans know all about wool - but it's getting much more notice these days and having a wool cover with your brand name - great decision. Those will sell out time and time again. Secondly, thank you for making wool more in the public eye. Being one of the top diaper companies right now, bringing fitteds and wool into focus is fantastic. Now us wool fanatics may seem a bit less crazy and there will be less "what's the deal with wool?" posts in every cloth diapering forum on the internet. Now it does only come in one colour, which I'm a bit bummed about - but I'm sure if when it's a success, more colours are on the way! To go along with their wool, they released wool accessories. Thank the cloth diaper gods, a company that actually acknowledges diaper and customer needs? Magic. Too many times has a company come out with fitteds, but no covers. Wool, but no fitteds. Wool, but no wool wash. Wool and lanolin go hand in hand and I applaud Gro-Via for acknowledging that and not making their customers ask "how do I wash this wool? do I need to buy anything special to use it? I didn't know I had to do anything special with it." It's right there, in the store, next to the wool itself. Now you may think "hey Kayla, you talked about the wool and accessories - what about what actually goes under the wool?" Yes, the fitteds. I must mention them, mustn't I? I'm going to start off by saying I have no experience with the fitteds and pass no judgement on their usability. From what I've read from their reviews of people who have tried them out - they are great. From comparing them to the previous Kiwi Pie fitteds, they seem like they function just fine. But good lord, those prints. I feel like I am the only one who thinks they are hideous! Absolutely hideous. I like the idea they had, going with a more simplistic print, not too busy and small and repetitive. As a graphic designer, I can appreciate the thought for sure. But half the prints I can barely even distinguish what they are supposed to be. Is that a cat? A fish? A bear? Is this supposed to be under water? The prints are a bit large and tend to get cut off, not leaving the most appealing image. And even if they were a bit smaller, I will just be blunt and say I don't like 'em. I don't think they are as classy as other prints GroVia has come out with..although to be perfectly honest there are not many GroVia prints I am a huge fan of. I can't even get on board with the elephant one, and I am elephant obsessed through and through. I think some of the old Kiwi Pie fitteds were to die for. But to each their own; most people seem to adore the new ones. Oh shoot, I haven't even had a chance to talk about what they are made of or where they are made; which are great selling points. I guess I'm a "judge a diaper but it's printed cotton outer" kind of gal. Now, as to not leave this post on a sour note - the greatest announcement of all - the "GroVia Perfect Pail." Words fail me. It is wonderful. It is gorgeous. It is genius. It comes in all three of my favourite GroVia colours; vanilla, surf and cloud. The pail liner opens from the bottom. Smart. 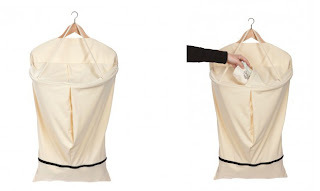 The pail liner attaches.to.a.clothes.hanger. Let that sink in. It attaches to a clothes hanger. Obviously. Why wouldn't it? Why wouldn't any pail liner have the ability to go on a clothes hanger? GroGro..you've outdone yourselves. All in all, I'm impressed with what they've done. They've worked hard and come out with quality products that people are going to like. That wool will be in my hands very soon. They also released prefolds and new trainer colours, which is a bonus. I'm not even going to acknowledge the price of these items because there has been to much complaint about it all over the internet and I'm not having it. You are paying for quality. You are paying for workmanship. You are paying for materials. And you are paying to have the products you use made in your own damn country, you are supporting your neighbours, your family and your friends. Shut up about it.